We are a leading Manufacturer of industrial electric motors from Mumbai, India. 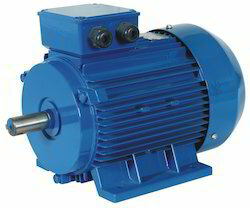 We are leading manufacturer and supplier of a wide range of Industrial Electric Motors. These are fabricated using high-quality raw material which is procured from trusted vendors. Our product can be availed at competitive and reasonable prices.